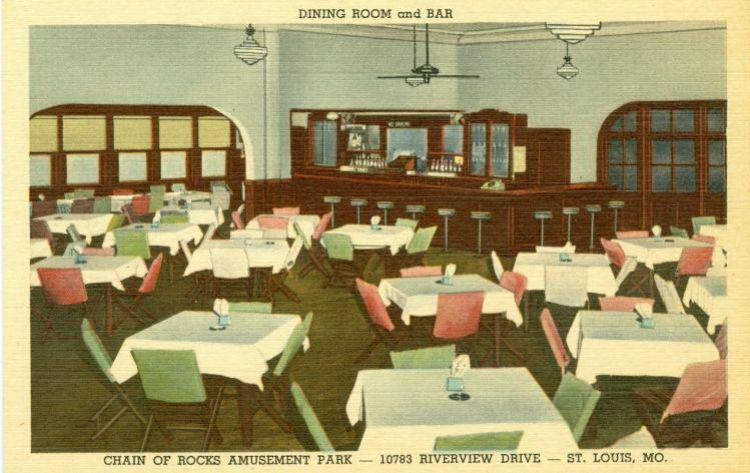 This view shows the interior of the restaurant at Chain of Rocks Amusement Park. It was destroyed by fire in 1973. The construction of Six Flags Over Mid America at Eureka in 1971 doomed Chain of Rocks. It held on until Labor Day, 1977. Today, low income housing occupies the site.